ADERONKE is out with a beautiful jam, for all you lovers of good music. This is one jam that will definitely catch your attention. 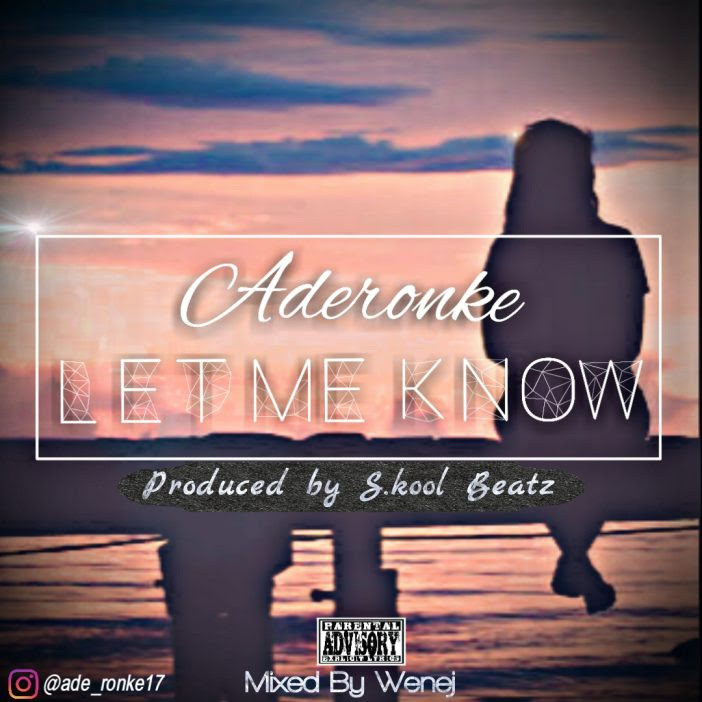 Aderonke is an uprising talent known on social media for her short musical skits with her outstanding vocal prowess and unique finesset she releases her first single titled "LET ME KNOW" produced by S.koolbeatz. This is one hot jam that will leave you comparing her to other A-list female artiste in nigeria.